The United Nations, an international cooperation agency that was established to safeguard the rights and needs of people around the world,is celebrating its 67th Foundation Day today. It is an agency where many languages are spoken, where many cultures are evident and where customs and traditions observed by its international staff are different and unique – differences that converge to realize common goals for all the citizens of the world. Despite its members coming from different backgrounds and speaking different mother tongues, they do understand one another. The United Nations has six official languages, which are English, Spanish, French, Russian, Arabic and Mandarin Chinese. October 24th is known all over the world as United Nations Day. It is loosely considered as an American holiday and a day for donning colorful costumes for the parade of nations. But beyond the festivities, United Nations Day is an important holiday that celebrates the diversity of cultures, religions and customs all over the world. It also commemorates the founding of an international body that looks out for the marginalized people, works to stop abuse and human trafficking, as well as foster peace and cooperation among nations. The United Nations General Assembly established October 24 as a UN holiday in 1948. This was the same day that the United Nations Charter was adopted in 1945. The entire celebration runs from October 20 to October 24 and the main purpose is to uphold the main goals of the United Nations - international economic development, security, social progress, human rights and world peace. Before the Second World War ended in 1945, 26 member countries of the Allied Forces pledged their government support to continue the fight against the Axis alliance and what they represent in 1942. 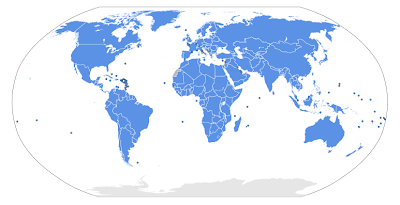 Earlier, states established different international organizations, such as the International Telecommunication Union, the Universal Postal Union and the International Telegraph Union late in the 1900s. The Universal Postal Union and the International Telecommunication Union later became specialized agencies of the United Nations. It was in the spring of 1945 when representatives of the first 50 member nations converged in San Francisco to finalize the Charter of the United Nations. October 24th marks the date that the required number of ratifications had been met in order to officially launch the United Nations. Imagine a world emerging from the ravages of World War II, fraught with chaos, destruction and poverty. Here comes a group that says “never again,” “no more war” and their aim was to prevent future generations from experiencing the scourge of war. At the same time, the United Nations wanted people to rekindle their faith in humanity by safeguarding human rights and improving the standards of living and upholding freedom. Then U.S. President Franklin Delano Roosevelt initially suggested that the name United Nations be used to refer to the Allies of World War II. Roosevelt later adopted the name and the term was officially used in January 1, 1942 with the Declaration by the United Nations. The United Nations Conference on International Organization began in San Francisco on April 25, 1945. The conference aimed to write the charter for the United Nations and lay the groundwork for the organization. Fifty nations were represented in the conference. Also invited to attend the conference were non-government organizations which included the Rotary International and the Lions Clubs International. Two months after, on June 26, the Charter of the United Nations was signed by the representatives of the original fifty nations. Three months later, Poland signed the charter on October 15, as Poland was not able to send a representative because of political problems. The United Nations charter was ratified by the governments of China, France, the Union of Soviet Socialist Republics, the United Kingdom and the United States of America, and the majority of the 46 other signatory countries. The Charter was ratified on October 24, 1945, officially forming the United Nations. The United Nations had an ambitious goal of preventing conflict between nations in order to prevent new wars from erupting. But while they had purely good intentions, their work was not always well received. From the years 1947 to 1991, the United Nations worked overtime to mount peacekeeping missions in various war-torn areas of the world. International groups turned to the UN as the agency to go to whenever there are programs that plan to work on world peace and global cooperation. Additionally, when the Soviet Union split up, the U.S. was left in a position of international leadership and this brought about new problems for the UN. In December of 1945, the two houses of the U.S. Congress petitioned that the UN headquarters be moved to the U.S. The United Nations building was constructed in New York City from 1949 to 1950. The headquarters is located along the East River and sits on a piece of property purchased from the generous donation of John D. Rockefeller amounting to USD 8.5 million. The UN headquarters was officially opened on January 9, 1951, although the building was not fully completed until October 9, 1952. 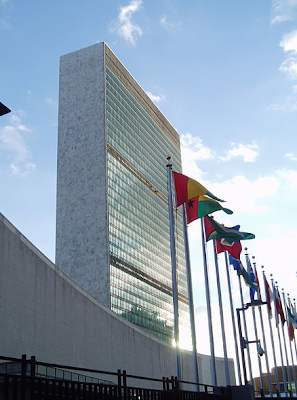 Apart from their headquarters in New York, the United Nations also has satellite offices in Geneva, Nairobi, Vienna and The Hague, among others. Like any other diplomatic agency, the UN also has some diplomatic privileges and immunities but in general, the laws of the host cities and country still apply. Under the by-laws, UN membership is only reserved to sovereign states. The Vatican City is the only exception in this case because although it is not a member, it holds the status of a permanent UN observer. In addition to the member states, the United Nations also extends invitations to become observers to non-member states, international organizations as well as other entities who may or may not have complete sovereignty. UN observers could participate during meetings and conferences, but they are not allowed to vote in the General Assemblies. There are currently 193 United Nations member states, and each of them actively participates in the United Nations General Assembly. Membership to the United Nations may be extended to other peace-loving states for as long as they are ready, willing and able to comply with the UN's rules and member obligations. All new memberships must first be approved by the General Assembly after a recommendation has been made by the Security Council. In order to get a Security Council endorsement, a country or state would need 9 votes out of 15 from the council. This must then be followed a two-thirds majority vote from the UN General Assembly. United Nations Day is colorful, fun and vibrant and has become a symbol of international cooperation and peace. Throughout the years, UN Day is celebrated in hundreds of countries. The festivities and activities range from displaying the UN flag in civic sites; debates and symposia; to parades, pageants and fiestas with plenty of food, song and dance. The celebrations commemorate the hardships of the past generations when it came to peace keeping and fostering International cooperation and understanding. While the reality remains that there is no shortcut towards attaining true world peace, the UN has certainly come a long way in helping nations begin multilateral processes on various global issues. United Nations Day programs are the perfect opportunity to recognize problems that are common to all nations and what we should all do to address them. The United Nations started in October 24, 1945, with only 50 countries as members. To this day it continues to commit to its mandate of fostering international peace and security and developing friendly relations between nations. Additionally, you would see the UN actively campaigning for the reduction of poverty in the poorest of nations as well as the alleviation of hunger in densely populated regions around the globe. The UN is also involved in promoting socio-economic development and for the recognition and preservation of basic human rights, gender sensitivity, women's reproductive health and women empowerment. Moreover, the United Nations also work to conserve the environment and develop blueprints for sustainable living. UN Secretary General Ban Ki-moon has delivered a message for this year's celebration of United Nations Day. While he is happy with the achievements and accomplishments of the UN over the years, he is reminding everyone to keep their eyes set on the 2015 deadline for Millennium Development Goals. “We are living through a period of profound turmoil, transition and transformation. Insecurity, inequality and intolerance are spreading. Global and national institutions are being put to the test. With so much at stake, the United Nations must keep pace across the spectrum of its activities — peace, development, human rights, the rule of law, the empowerment of the world's women and youth,” the Secretary-General's message states. Ban Ki-moon was also proud to report that through the United Nation's work, extreme poverty has been cut in half since 2000. And because democratic transitions are happening in more and more countries, economic growth and progress have shown signs of improvement. The Secretary General underscored the need to intensify efforts to achieve the lifesaving targets laid out in the Millennium Development Goals. As we celebrate United Nations Day today, it is also important that each and every citizen – all 7 billion people on the planet – reaffirm their commitment and resolve to build a better world for us and our future children. It is not enough to rely on the United Nations to foster peace, create missions, and send them to different regions across the globe. We must be reminded that every step we take should be a step forward towards the fulfillment of these goals. What we do today will determine the kind of world we leave to our children and the next generations. The United Nations is an international body composed of hundreds of countries and states. They speak different languages and come from different cultures but they set their differences aside and work towards a common goal – world peace. To make their work more efficient and accurate, the United Nations makes use of thousands of translators and interpreters to help convey their message. Like the UN, you too can employ the services of expert interpreters and translators for your official needs.